It is a wirework/macrame Dragon. It is by Alison and Nadja. It is fantastic. More please. Glad I bought 2 will love learning from Alison and Nadja. Love the dragon they made. Have watched, very complicated project, will take practise, the booklet with it is useful, although does not show detail of the wirework legs. 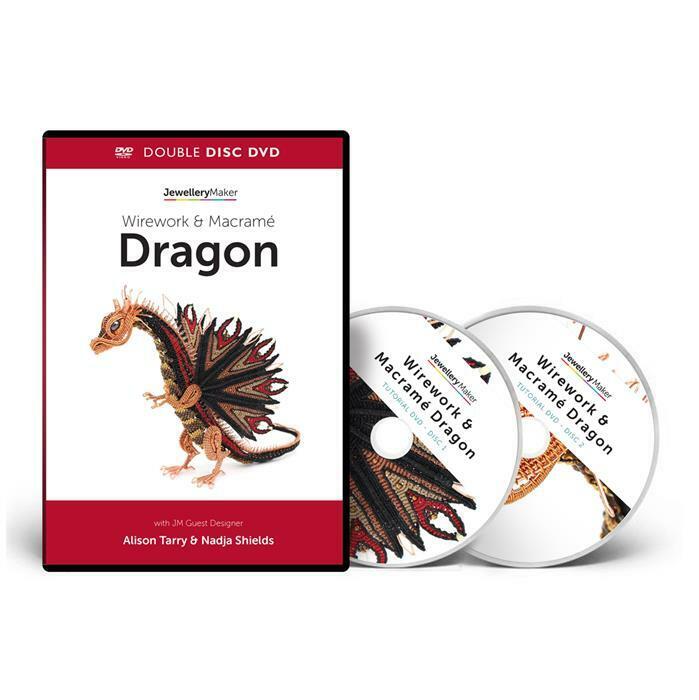 Both Alison and Nadja are so talented and make this dragon seem so achievable and easy to follow by making the dvd in segments its easier to go straight to the section you want rewind, pause and all the extra tips. Can't wait to see if they do another dvd project for me to invest in. A beautiful project to enjoy!